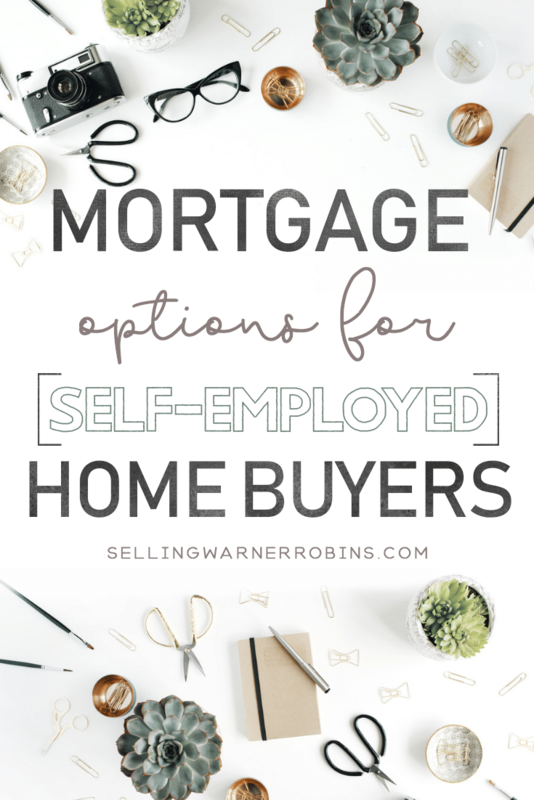 Millions of self employed home buyers are finding out that it is not as easy as it used to be for business owners to qualify for a mortgage. Over a decade ago, stated income loans were common and getting a loan without supplying any mortgage documentation was what self employed buyers would do. 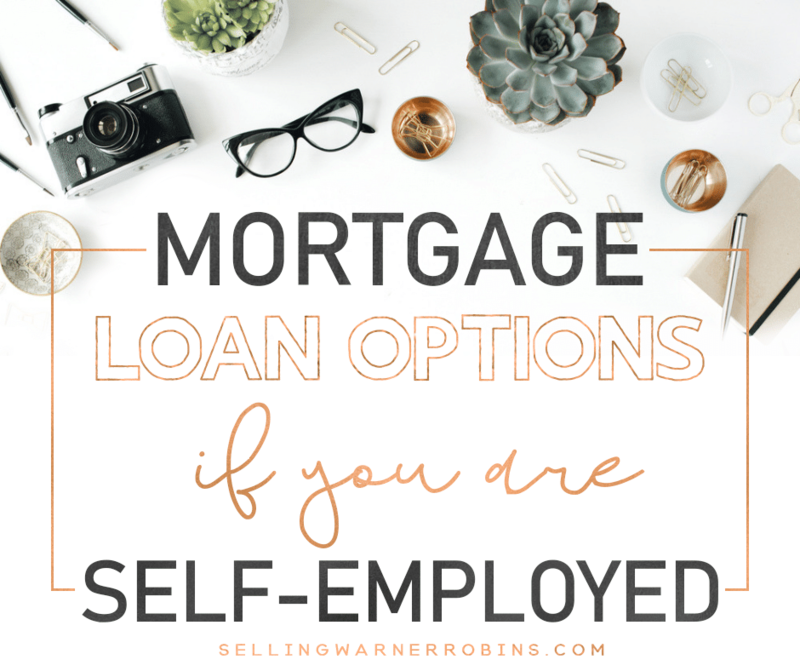 Although most of those loans are no longer available, there are a few mortgage options for self employed buyers that are still available and can help. The biggest challenge that self employed buyers face when it comes to applying for a mortgage is the net income on their tax returns is much too low to qualify. They are taking all of the legal tax deductions that are allowed as self employed individuals. However, mortgage lenders ask self employed buyers to qualify using their net income while salaried borrowers use their gross income. This puts self employed borrowers at a disadvantage. The best mortgage option for self employed buyers today are bank statement loans. This program was introduced specifically to help those who have the challenges of qualifying based upon the net income on their tax returns. Rather than using tax returns, lenders will require you to provide anywhere from 12-24 months of bank statement deposits as proof of income. They will use a percentage of the average monthly deposits of your business accounts, and 100% of the deposits into your personal accounts to use as your monthly income. You must be self employed for a minimum of 2 years. Credit scores can be in the mid 500’s depending upon the lender, but that may change your down payment requirement. You will need to provide 12-24 months of bank statements (all pages). The down payment requirement will be anywhere from 10%-20% depending upon the lender, your credit score, and whether you had a recent bankruptcy. Available for primary residences, second homes and investments. The bank statement loan is by far the best mortgage program available for self employed buyers due to the combination of limited mortgage documentation needed and competitive rates. Save for a down payment – The minimum down payment requirement in the best scenario will be 10% and some lenders may require more. Your target should be a minimum of 20% because the more you put down, the lower your rate will be. Emergency Fund – In addition to the down payment and cash reserves required by the lender, you should try to keep an additional 6 months’ reserves in the event of an emergency. The emergency could be a job loss, a huge unexpected repair in your home, or even a medical situation. Too many new homeowners leave themselves without an emergency fund and find themselves missing payments and facing foreclosure when they experience an unexpected event. Credit score – Your credit score is a key component to finding a mortgage regardless as to whether you are self employed or a salaried home buyer. Lenders use your credit score as a basis to approve your loan. Your score also is directly related to the interest rate you will receive. Managing your credit is something that is an ongoing process and not something you start to think about when you begin shopping for a home. A common mistake is to ignore your credit situation until the last minute. The most important advice is never to make late payments. Sending a partial payment is better than sending nothing at all. Bank deposits – If you are self employed and thinking about buying a home, you will likely need to qualify using your bank statement deposits as a source of income on your loan application. Therefore, you will need to make sure that you are depositing everything into those accounts. If you are in a cash business, start depositing that into your accounts. No more mattress stuffing. If you are unable to show sufficient deposits, then you will not qualify for your mortgage. Consultation early – Saving for a down payment, building your credit and accumulating months of bank statement deposits takes time. It is a good idea to speak with a loan officer at least 1-3 months in advance of meeting with a Realtor to see and purchase your first home. The loan officer will identify areas of improvement and whether you are able to qualify. He or she will provide recommendations and suggestions for you to work on over the next few months. This will help you to have more buying power and to get the best rate possible. This program is much more flexible, but the rates will be a bit higher. Guidelines and state availability for a program like this may change often. Quite often business owners are looking to buy real estate as an investment. When you start to layer other monthly obligations on your credit report including the mortgage payment from your primary residence, then it becomes even harder to qualify for a mortgage for an investment property. If you are looking for a short term flip, then consider buying down the pre-pay penalty with rate add on adjustments. With an average close time of 3 weeks, this is an easy way to quickly finance that amazing deal before someone else is able to take advantage of the investment opportunity. There are quite a few self employed buyers who can document their income and qualify for a mortgage by providing all documentation including tax returns. You will need to provide up to 2 years tax returns and the lender may ask for a current year P&L statement from your accountant. Conventional Mortgage – If you can come up with at least 20% down, then the standard conventional mortgage would be a great option for you. If you do not have 20%, then look into a piggy back loan where you have a 1st loan at 80% of the home value, then a second for the additional amount that you need to borrow. This will help to eliminate PMI. The other reason you would consider a piggy back is if you are buying an expensive home. You can get a first mortgage for the conventional loan amount and a second for the difference. This would help you to avoid getting a jumbo loan. 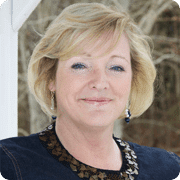 FHA Loan – Self employed home buyers who can document their income but have a small down payment should consider an FHA loan. FHA lenders have rates that are competitive considering the small down payment. They also offer a 203k rehab loan program where you can borrower more than the purchase price to make approved repairs and upgrades to the home. Something to consider is the up front and monthly mortgage insurance premium that will last for the life of the loan. USDA Loan – If you live in a rural area, a great program is the USDA loan. It requires no down payment and like the FHA loan, rates are competitive. There is also no PMI which is an added benefit. When searching for properties, visit the USDA property eligibility lookup tool to see whether the home is located in a USDA approved area. VA Loan – If you or your spouse are veterans or active military, the VA loan is probably the best option for you. Zero down payment, no PMI and great rates. There are no property location restrictions like you will find with a USDA loan. It is very common for potential home buyers to have a recent bankruptcy in their credit history. In some instances, business owners filed for bankruptcy for business reasons. Regardless, the bankruptcy makes it extremely difficult to qualify for a mortgage with traditional lenders. The common programs referenced above will not permit a borrower to apply if there was a bankruptcy within the past two years. There is a bankruptcy seasoning requirement that must be met. The good news is there are a few portfolio lenders who are willing to take on the risk of working with buyers who have filed for bankruptcy as recent as yesterday. Must provide 12-24 month’s bank statements to use as income documentation similar to the bank statement program. If you can fully document your income, then you can also provide your tax returns. Similar to the other programs, you compensating factors will most likely have an impact on your rate. The higher your credit score, the more income you can document and the higher the cash reserves, the lower your rate will be. What kind of rate can I expect with a bank statement loan? Mortgage rates for bank statement loans are just a little higher than what you will find with a conventional loan. Your credit score and down payment amount also play a major role in determining your rate. 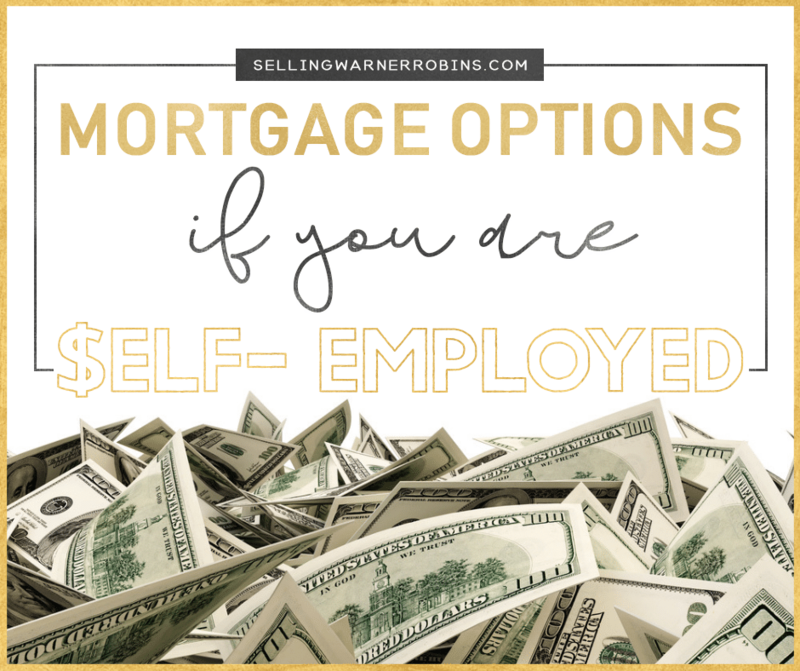 Why are there few mortgage options for self employed buyers? Before the housing crisis in 2008, there were too many risky mortgage programs available. Anyone with a social security number and a pulse was able to get a loan without providing any documentation. After the housing crisis, most of these programs disappeared. As a result, we have just a few mortgage options remaining for self employed buyers and only a hand full of lenders offer them. Can I get a mortgage if I just recently started a business? Lenders will require that you show two years history of being self employed. If this new business is related to another business that you had for the past two years, then you can get a loan. If you are newly self employed then you will have to wait two years. Check with a reputable loan officer as new programs are introduced every year. Can I Use My Business Name on My Mortgage? Mortgages for primary residences are for individuals, not business entities. If you would prefer the home to be owned by your business, then the purchase will be a business investment and you will need a business loan to make the purchase. Most commercial properties with commercial loans are purchased by a business entity. Regardless as to which mortgage program you ultimately choose, it is important to prepare yourself financially well before you visit your first home. Speaking with a loan officer who has creative mortgage options for self employed buyers months in advance is critical. They will provide you with a homework assignment to put away more funds for your down payment or repair your credit. At that time, they will also review various loan program options for you to consider in advance. Allowing time for your loan officer to help you to qualify will give you the best chance to purchase your dream home and to get the lowest rate possible.